Hi everyone. 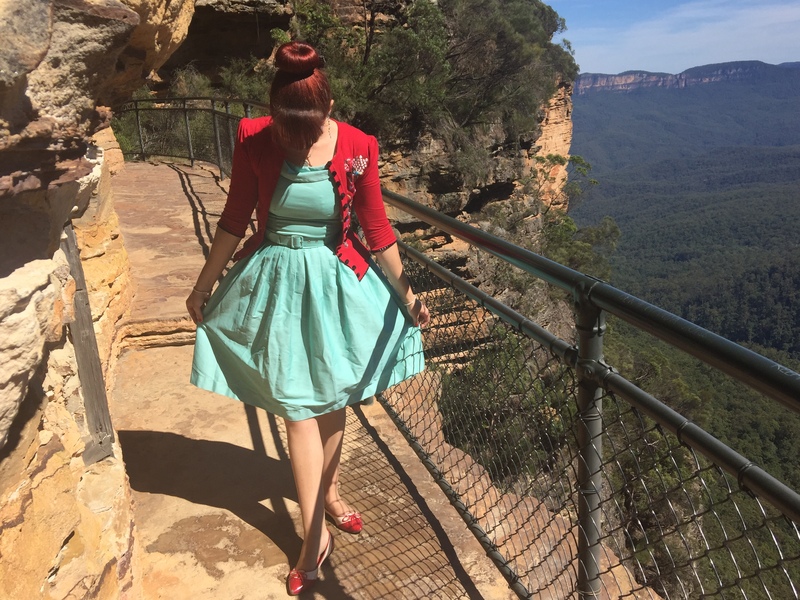 Here are my pictures from the second day of our trip to the Blue Mountains. It feels like so long ago now and I only just remembered I hadn’t shared this set of pictures. 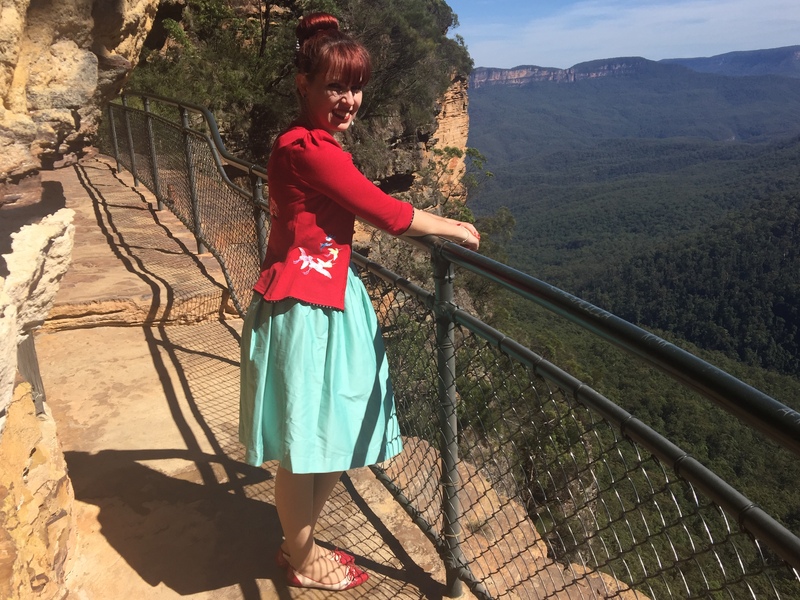 These were all taken at Wentworth Falls where we went for a bush walk through the mountains and near the waterfalls. 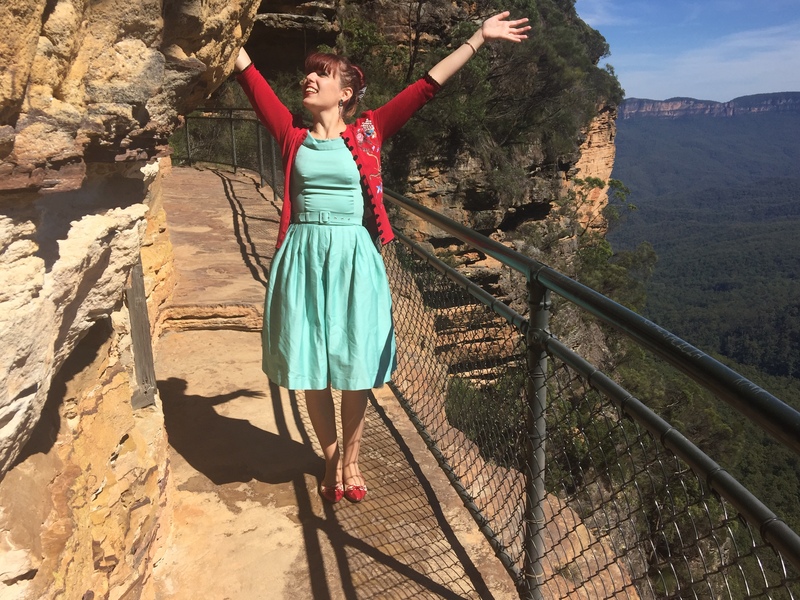 I was starting to become a little bored with the mountains prior to our trip to Wentworth Falls so luckily I googled what to do in the mountains and this stunning place came up. It was the highlight of the trip. 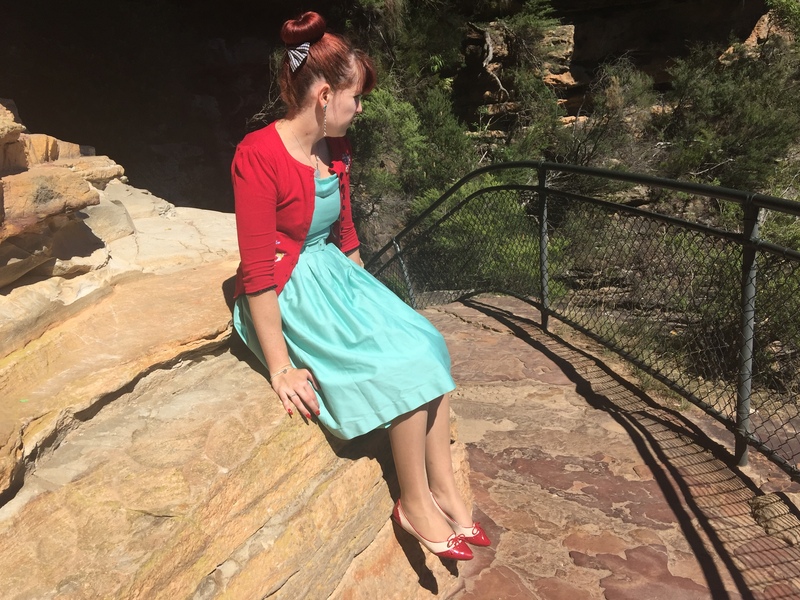 I was a little overdressed for the bush walk as I didn’t expect there to be so much physical activity involved. 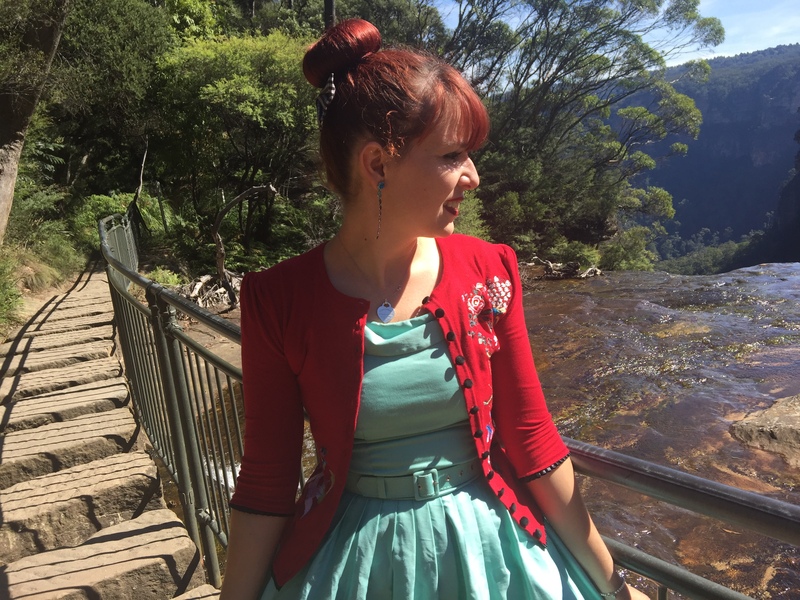 However, I wouldn’t have dressed otherwise as this outfit made for better photos. In general I think red and green is such an underrated colour scheme. It’s very beautiful, bright and positive- I’m going to wear it more from now on. This entry was posted in BAIT Footwear, Kitten D'Amour, Lifestyle, Outfits, Wheels & Dollbaby. Bookmark the permalink. You certainly look beautiful in this. I'm not sure I could do climbing and strenuous activity in such an outfit or shoes, I'd be too worried about slipping or breaking an ankle! You're braver than me! I would love to see the actual falls too! Haha this is the sort of thing I would accidentally wear to go climbing too! Very beautiful- it looks very hot too! Hi, dear Imogen! I am sure that this trip was amazing, I can see through the pictures! Well done by finding a nice place, Dr Google is so good 🙂 I also do that 🙂 You are so right, with or without so much physical activity involved, the outfit is precious! 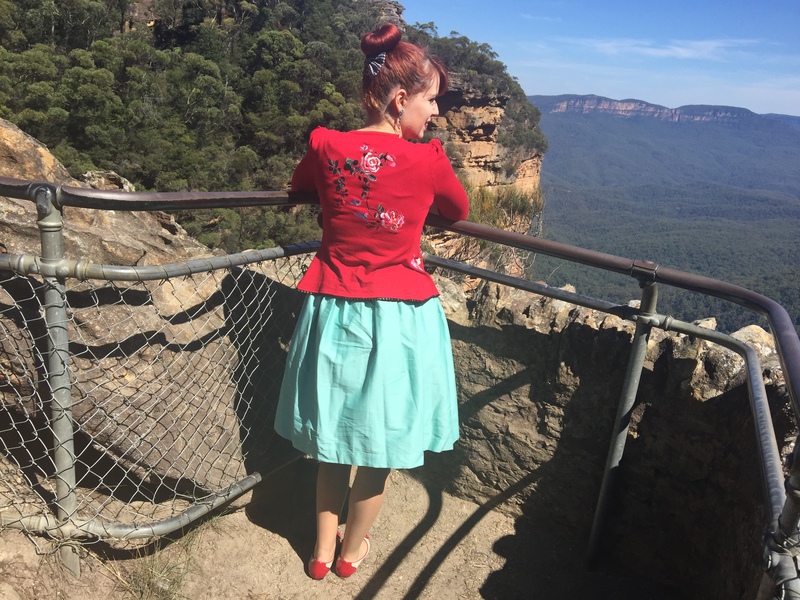 I loved the embroidery on the back, such a sweet jacket and the dress is also super cute! And I loved the flats! You look gorgeous! As usual! Hope you have a very lovely weekend! What a cool spot to explore! 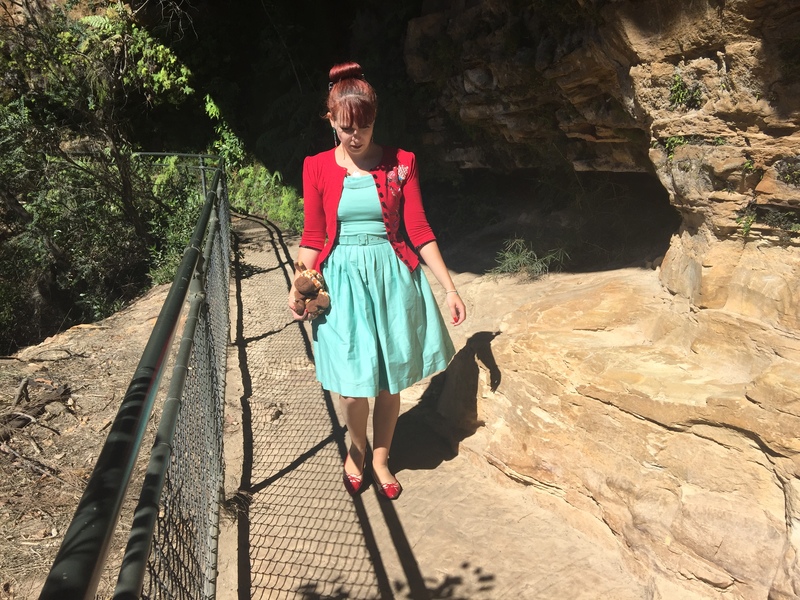 I have always loved mint/turquoise and red together. 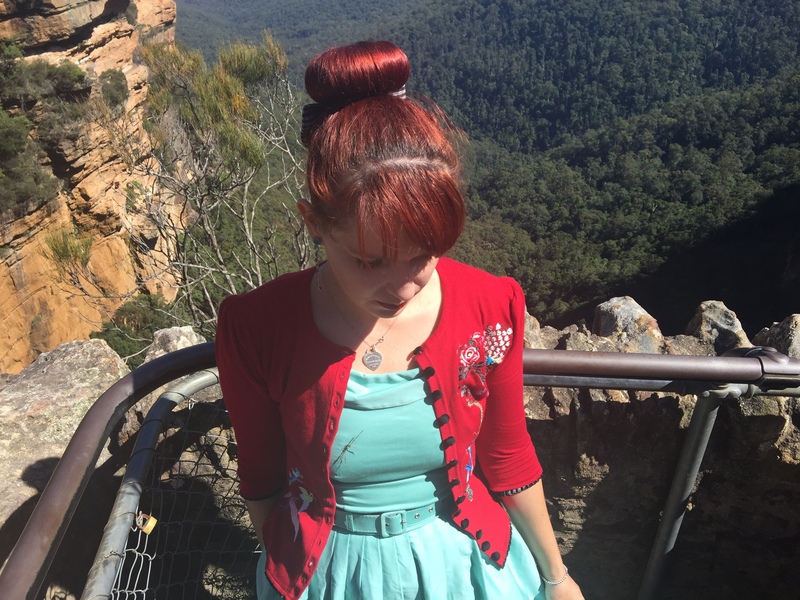 What a beautiful view, and your red cardigan is so pretty! It is stunning, indeed! The view is incredible. This mint dress is genius – you look incredible in it. Perfect for spring! What spectacular views! Your outfit is fabulous too! 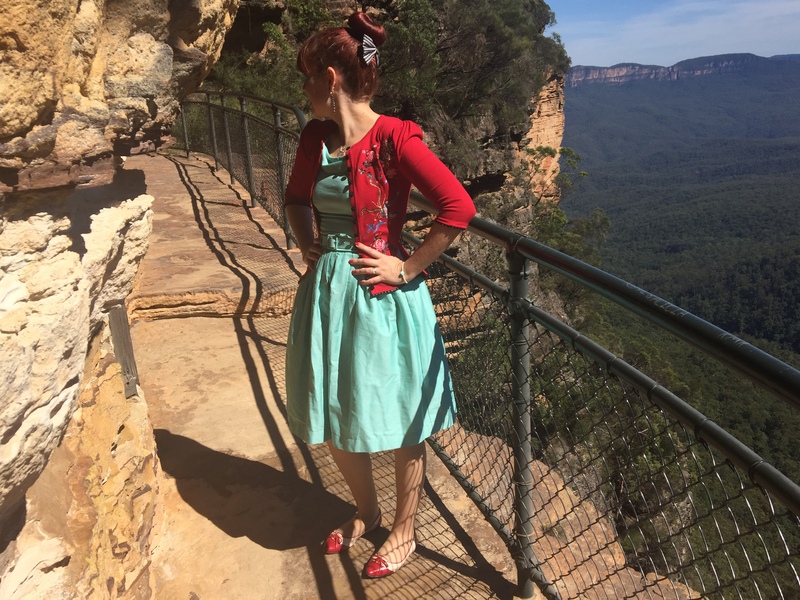 Such a stunning view, Imogen:) And I love red and green too. You look great. Great photography! Love your outfit! Lovely color combo and beautiful look!!! Have a lovely rest of the week, Imogen. Gorgeous views! What an amazing location! I love your outfit too! Love the color combination you put together! 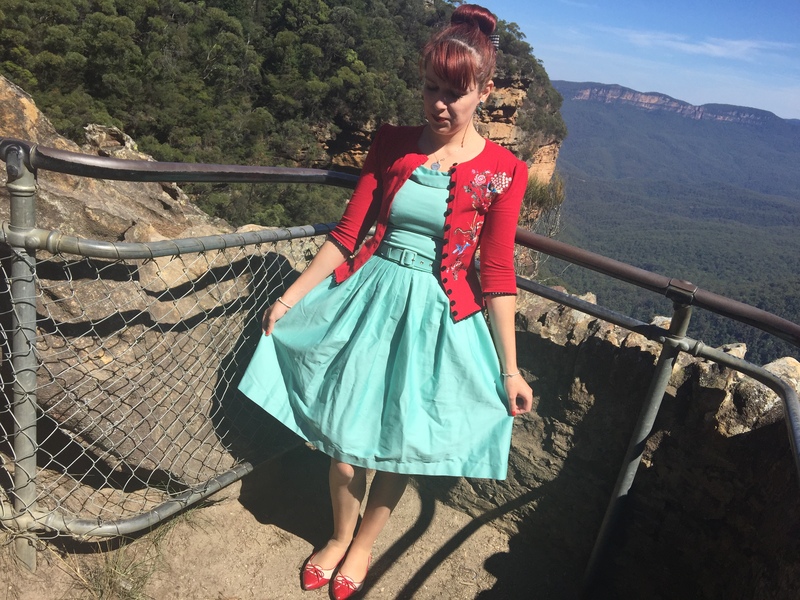 So lovely in the mountains with that Red embroidered sweater and pretty aqua marine skirt. You look so happy and beautiful. so you're perfectly dressed up and true to your style even when you're up in the mountains. 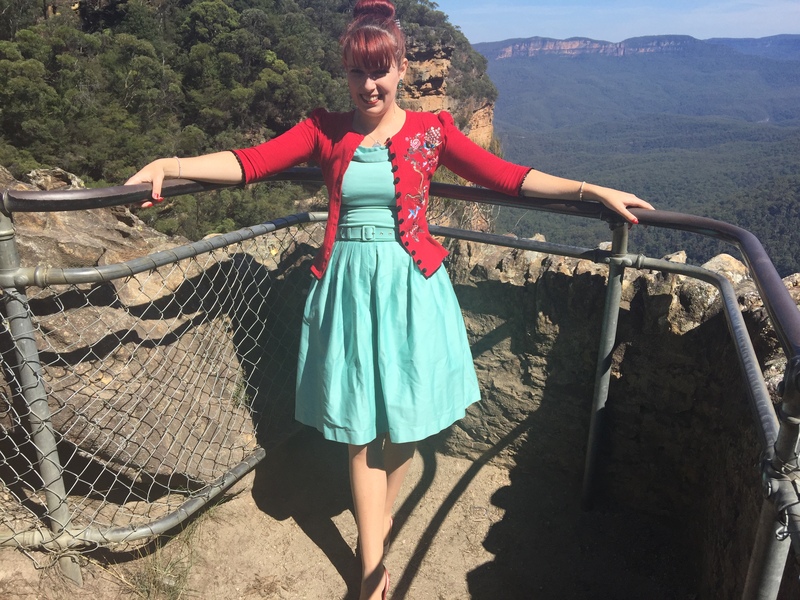 wonderful feminine combo…love that dress and cardi! you look so pretty.